« Older: Belizean student heads to Harvard! 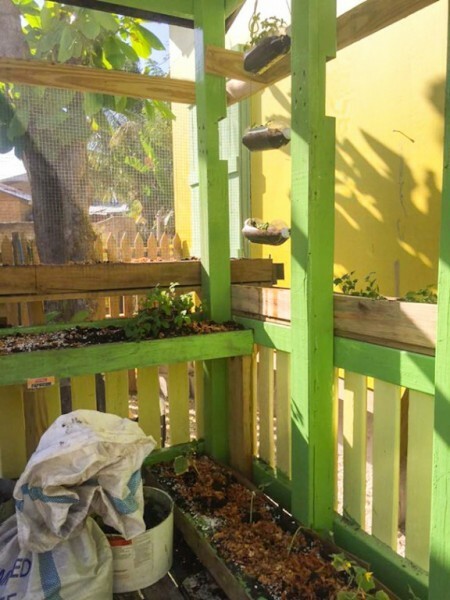 Ambergris Caye Elementary School (ACES) has added a greenhouse to their school grounds. 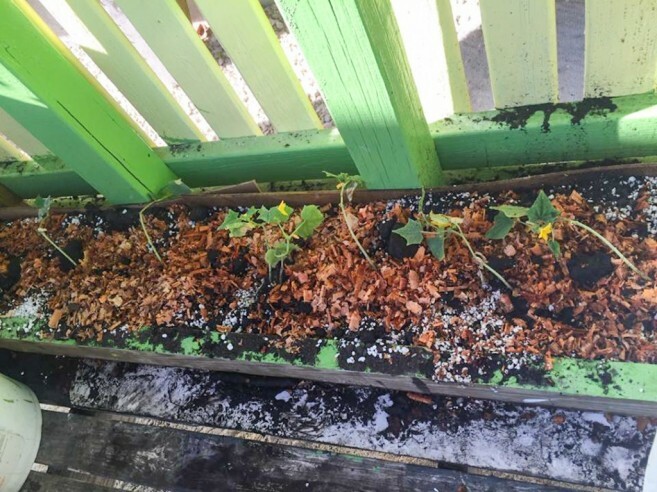 With the priority to become a child friendly school, greenhouse coordinator, Teacher Sarah Jean Freudenberg, believes it is important to teach children sustainable living. So far, the students have planted cilantro, basil, mint, parsley, tomatoes, cucumbers, peppers, marigolds and wild flowers. Not only does the greenhouse fit in well with the curriculum of Belize, but it also teaches valuable life skills. It is important to plant and care for plants to learn those valuable skills. The hope is that children will become inspired and want to continue to grow fruits and vegetables all their lives. “I used to garden a lot in America, so it gives me an opportunity to share something I enjoy with the kids,” said Sarah. 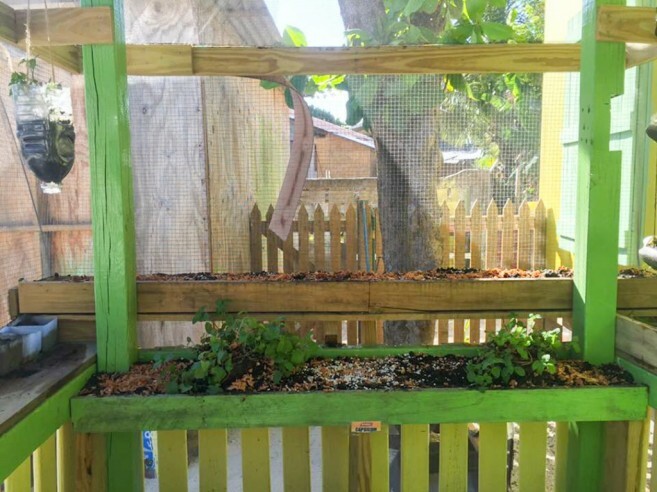 Giving children a chance to escape classroom instruction, students wander around the greenhouse investigating what they observe. With student’s curiosity piqued, their senses become stimulated, allowing them to appreciate the science behind growing plants. A greenhouse in itself is an organic utopia, and students experience first-hand the seasonal and annual cycles of the seeds planted. The special education classroom is in charge of maintaining the greenhouse at ACES. Children learn the process of how plants grow, properly caring for plants, and learning healthy eating and food preparation. 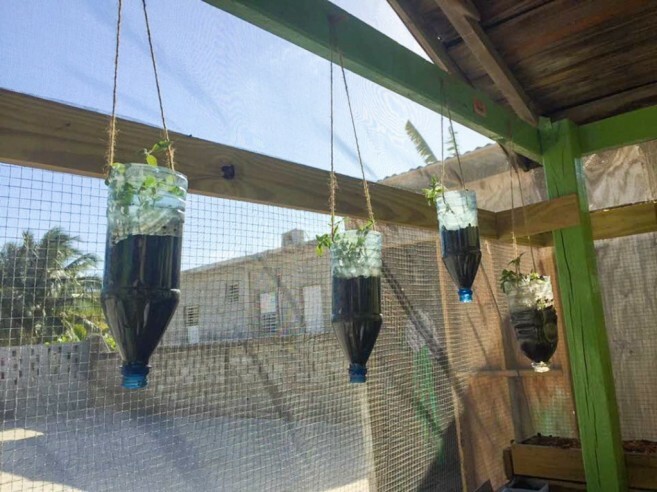 They can experiment with water movement, fertilization, and explore connections between plants and insects. Students also become conscious of how climate relates to plant growth. The final goal for ACES’ greenhouse is to harvest plants that have fruits and vegetables and will be selling the produce to families of ACES. The children will be in charge of picking the fruits and vegetables, packing and exchanging the money. By doing this, ACES will be teaching very important career skills and social skills to their special needs children. If students forget to water the plants, children see the impact, so this teaches children a great deal of responsibility. Thanks to ACES groundskeeper, the greenhouse was maintained over the Easter break. Teacher Sarah says that students are drawn to the durability of the greenhouse and are excited to see how much had grown over vacation.